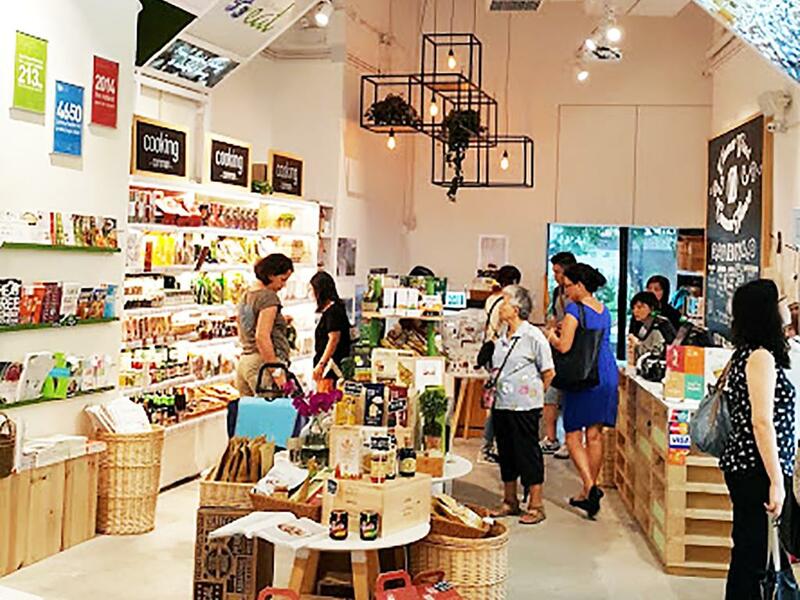 The minute you enter Green Common, the new vegetarian concept store by the Green Monday team on Queen’s Road East in Wan Chai, you feel as if you have been transported into an alternative universe of safe, ethical and healthy choices. 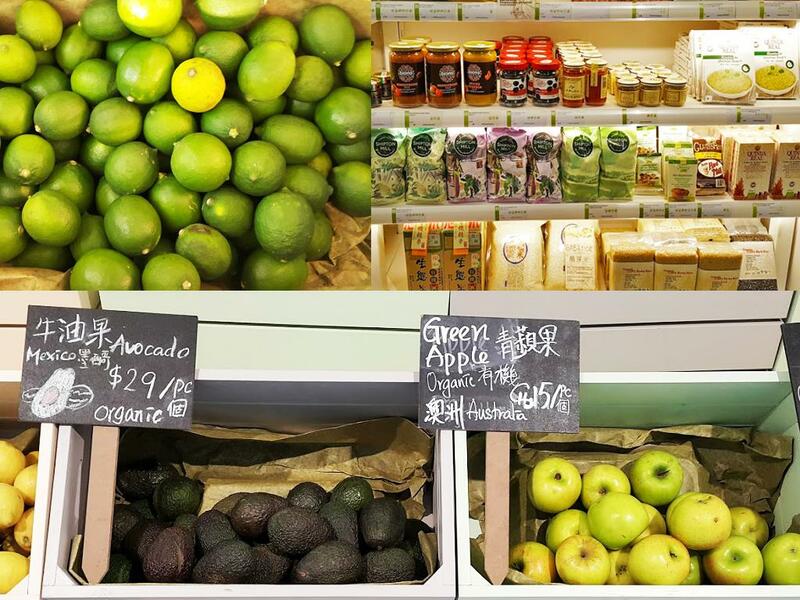 Just like our first time at a Whole Foods supermarket and at the original Just Green Central shop, the inevitability of the clean foods lifestyle beckons and one is enveloped into the uplifting experience of it all. The modern brightly-lit rectangular space is flanked on either side by white shelves, fridges and wicker baskets full of colourful vegan products, with the middle of the store showcasing new products, specials and fresh produce. The high ceilings and wide aisles offer a feeling of unlimited space, a decidedly rare luxury when grocery shopping in Hong Kong, where most of us are well used to crowded, cramped passages. Oh and did we mention that dogs are welcome? 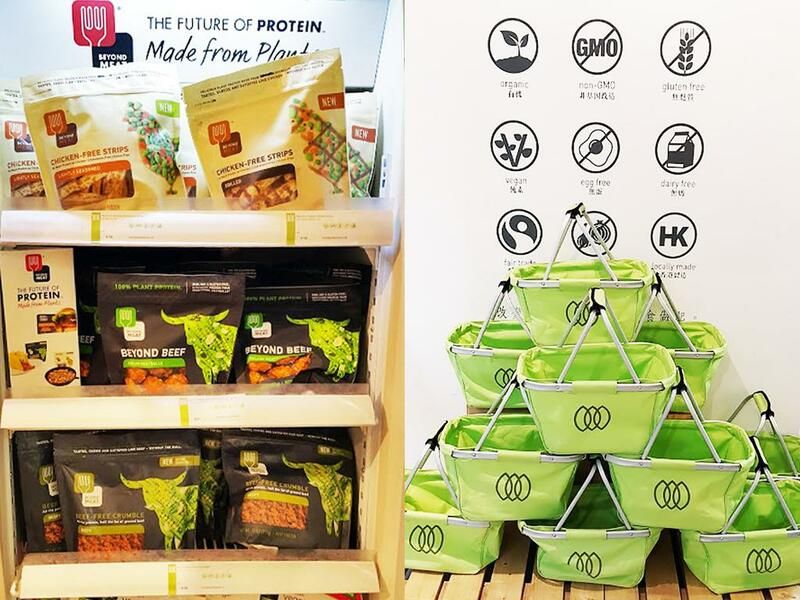 Whilst Green Common bills itself as Hong Kong’s first vegetarian retail outlet on the island, we found that the majority of the products aren’t just veggie friendly, they are vegan! Green Common does not stock dairy products- no cow’s milk, no goat cheese, etc, or eggs. In fact, the only non vegan products we found were honey and British probiotic chocolate brand Oh So! We could not be more thrilled to see how many fabulous locally handcrafted products are stocked at Green Common. From Chef Priscilla Soligo’s raw vegan bean to bar Raiz The Bar chocolate, to Happy Cow Dairy Free Ice Cream, to locally harvested Bee’s Nest Pure Honey to locally pressed organic O’Beans soy milk to Mrs So’s vegan Cantonese condiments (including ginger sauce, mushroom sauce and citrus sauce), they truly tow the local line and support Hong Kong food entrepreneurs. If you are looking for clean breakfast and lunch options, Green Common has you covered. 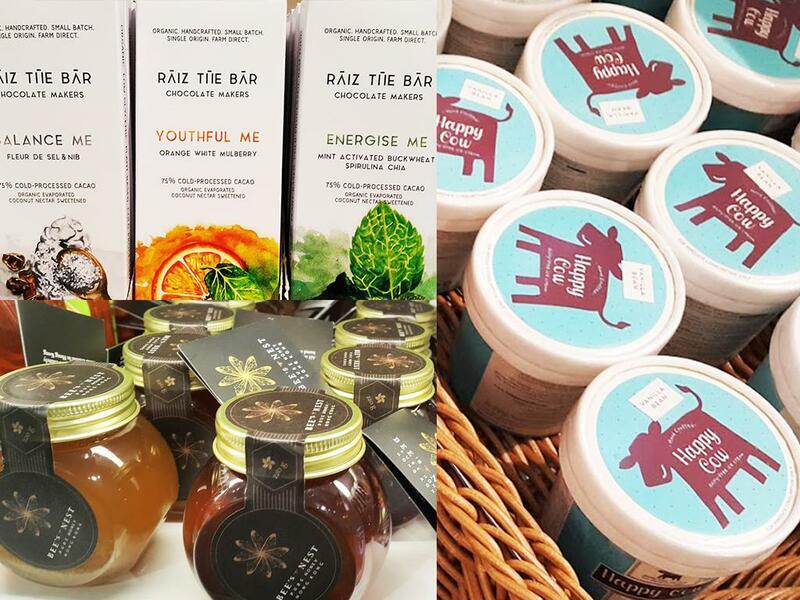 Raw vegans rejoice: from cold pressed fruit and vegetable juices by Hyaku to cocoonut probiotic yoghurt cups with pecan granola to zoodles (zucchini noodles) with a pesto or shitake bolognese sauce to nori seaweed cracker snacks, all by Foodcraft, there is something for every uncooked mood. On the non raw side of things, find to-go veggie friendly sandwiches and salads by Cafe O. They also have shelves full of healthy snacks from crisps to bars to cookies. Green Common has everything you need in terms of healthy groceries: seeds, grains, pastas, noodles, nut butters, sweeteners, cold pressed oils, vinegars, spices, sauces, condiments, snacks, superfoods, dried fruits, nuts, pulses, seaweed, dried mushrooms, protein powder, cereals, nut mylks, non dairy cheese…it’s all there from the bigger multinational brands to the more niche ones. We also loved that they represent the healthy product market from across the region: we found many interesting Asian brands. In terms of vegan meat alternatives, they really can’t be beat. Their freezers are full with Bill Gates backed Beyond Meat chicken strips and meatballs, Gardein black bean burgers and fishless tempura filets, Vegelink vegetarian fried ‘oysters’ and prime chicken nuggets, Tidjoori organic veggie bratwurst and Batata Greens vegan calamari and taro ‘fish’ balls. Green Common stocks fresh produce too, with a variety of Western and Asian items. 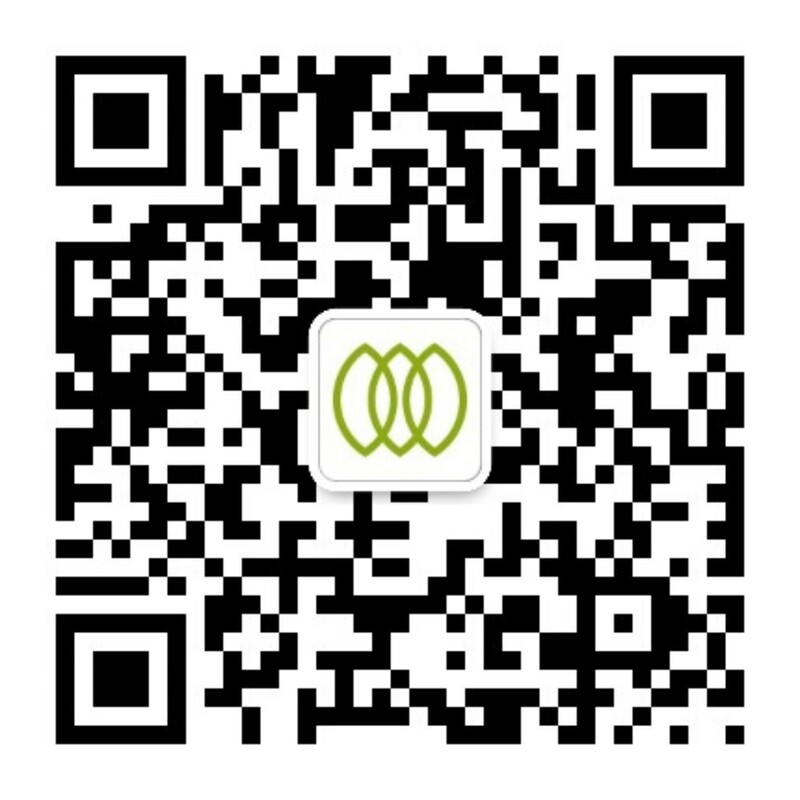 All the fruits and vegetables are certified organic; a lot of the greens are from local farms but they source avocados, lemons, limes, apples and oranges from Taiwan, Holland and Australia too. 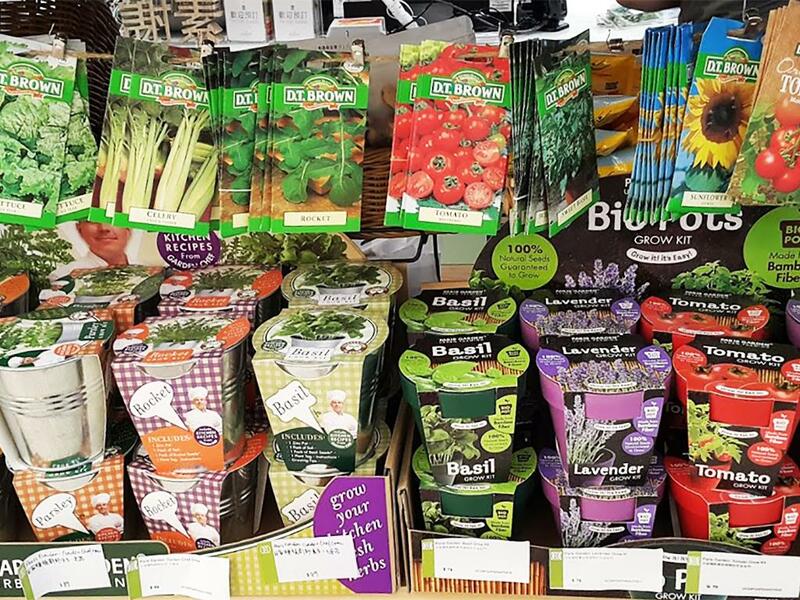 Being part of the Green Queen team, we spend a lot of our time in health food and organic grocery stores, and there are not many brands or products we haven’t seen before but Green Common sure impressed us! From Green Day okra chips to the Miyoko’s Kitchen Artisan Vegan Cheese in double chive to the vegan Thai Curry packs to The Rainforest Coffee fair trade filter pods (place on your coffee mug and just add hot water!) to the organic brown rice and pumpkin noodles to dried burdock, their product range if full of unusual and new to Hong Kong treats. On the home front we were thrilled to find that they stock Bee’s Wrap (a beeswax and cloth food storage alternative- no more cling film!) and Fresh Paper (sheets infused with organic spices that keep your produce fresh for weeks), not to mention their impressive gardening goods range: they actively encourage patrons to grow their own herbs, tomatoes and lettuces. Green Common wants to be more than just your neighbourhood grocery store. They are looking to engender change in their local community. The back of the store has an events space where they host superfood smoothie making and vegetarian cooking lessons, bread making sessions and ingredients label info sessions. 1% of all sales is donated to local NGO Food Angel. They take a ‘absolutely not’ stance to bottled/packaged water, refusing to sell any on their shelves; instead, their free filtered water tap is open to all with a bottle that needs filling. Their long time chef collaborator Veggie Mom Christine develops recipes for ready-to-cook vegetarian meal packs, which are prepared by mentally and physically disabled workers. They even have a climate change photo series on the walls! 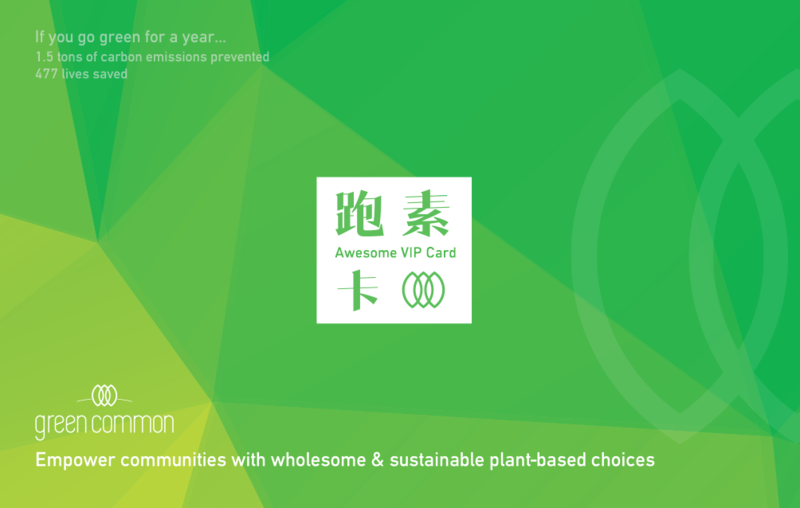 We are excited to announce that Green Common’s second location is opening in August on Des Voeux Road in Sheung Wan. Stay tuned for a larger space with a full cooking studio, vegetarian cafe in collaboration with Ovo Cafe and a sustainable florist, in addition to the cocoon of veritable clean food that they already have.